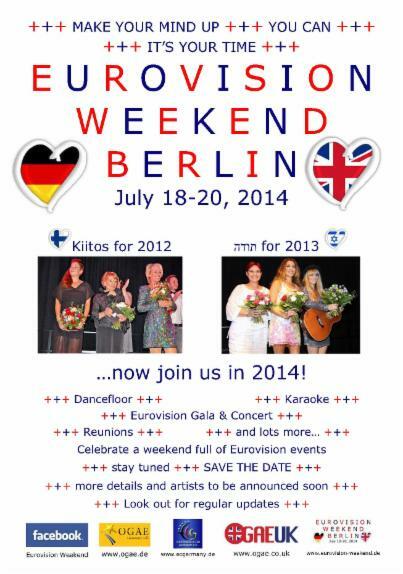 Ticket presale: Get your ticket online or register via e-mail to tickets@eurovision-weekend to order your ticket. 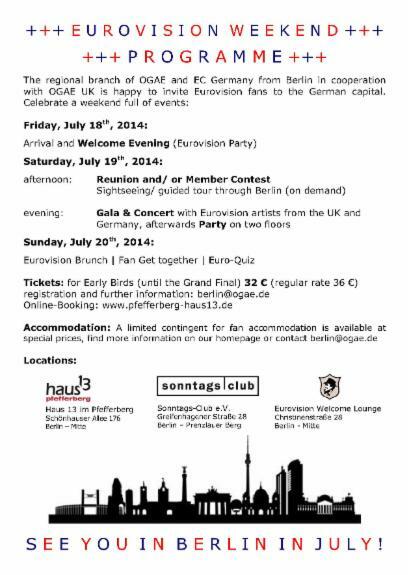 The price is 36 € and comprises the Gala as well as two parties, the whole programme and the Brunch on Sunday. See you in Berlin in July !